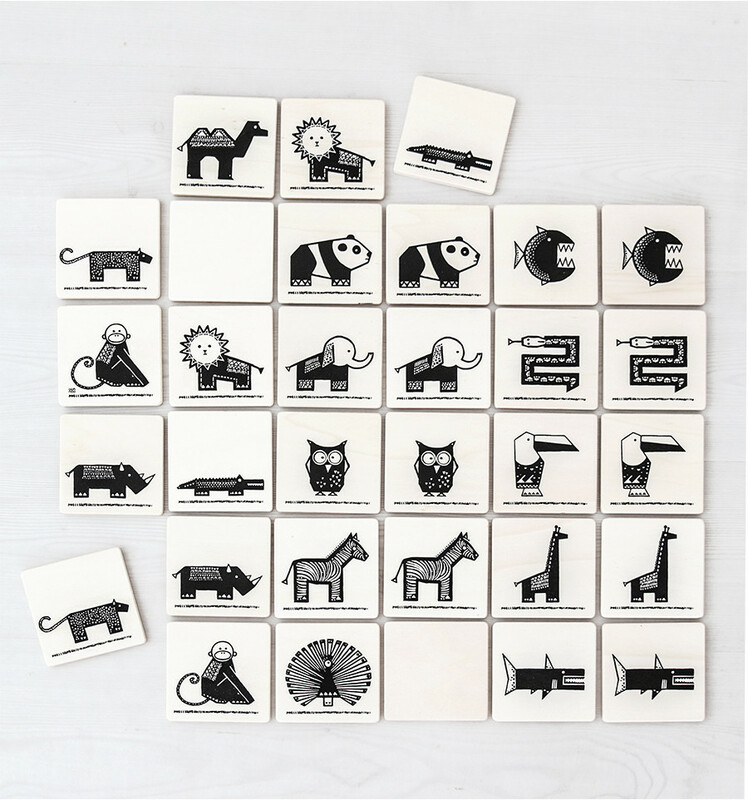 This old-school memory game consists of 16 pairs of cute animals on large, easy to handle wooden tiles. They are made of pure wood and not treated with anything. Their colour can vary a bit along with the natural colour variation of wood. 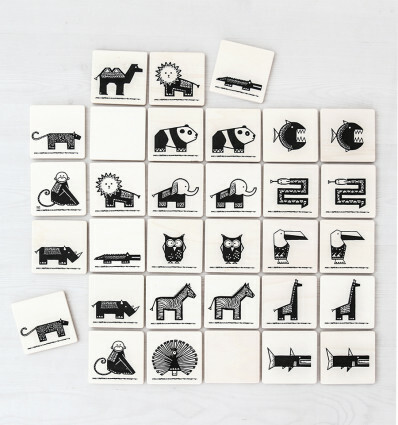 The tiles are made of non-treated wood. You can remove general grime by wiping them with a damp cloth. However, if the tiles get dunked in watercolour or meat stew, those stains will be difficult to remove. The sack is a different matter. You can throw it in the wash and be merciless with it. The pure cotton can take a lot of abuse.